evoOTware. These revolutionary utensils will allow anyone with difficulty using standard utensils to gain independence and freedom from pain. Also a release for caregivers. The natural grasping hand, and in closed postition as a rounded stylus. Comfortable and beautiful, the evo.millennium is the choice when you want a heavier pen that is naturally comfortable and utterly ergonomic. You can buy them at the MoMA Design Store, and on their web site, momastore.org (keyword: evo). 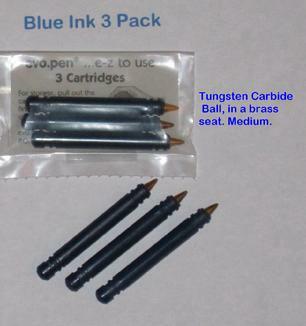 3 pack cartridges are available in blue or black ink. 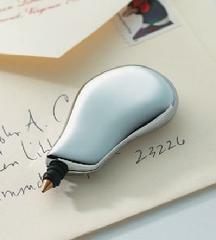 evo.millennium...chrome plated, fits standard evo.pen cartridges. Come with 2 extra cartridges in the package. 3 packs of the reversible evo.cartridges are available. Please click on "Why evoOTware works,,," on your right. 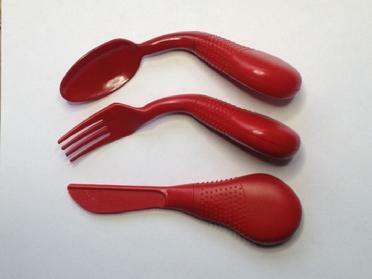 The video explains the revolutionary ergonomic utensils. It shows many of the wonderful new ways people are :getting a grip". Providing more independence for some, and release for others. 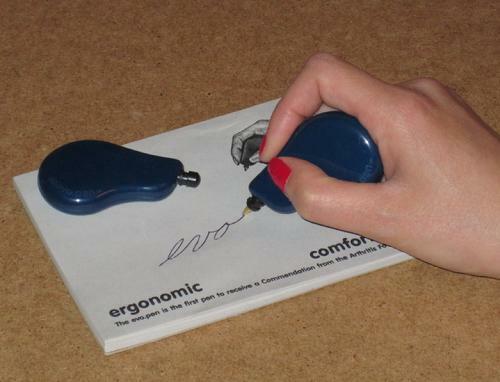 Click on the short tutorial "Why evoOTware works" above to see how the revolutionary utensil allows people to get a grip! chrome plated evo.millennium in see through gift package with 2 extra cartridges.